WebM, AVI, 3GP, MPG, MP4 for iPad, iPod, iPhone, Tablet PCs! Any DVD Converter is professional DVD to WebM conversion software which helps you convert and rip DVD to WebM video format (consisting of VP8 video and Ogg Vorbis audio) effectively and efficiently. With the simple, easy-to-use yet professional DVD to WebM Ripper, you can fast convert DVD to WebM video to meet your various demand to upload to websites or for HTML5 video. DVD to WebM Converter offers various advanced editing functions to customize output WebM video like video trimming, cropping, merging, previewing, taking snapshot, and more. Before converting DVD to WebM, you can trim any part of DVD, adjust output video effect and specify the output settings and so on. 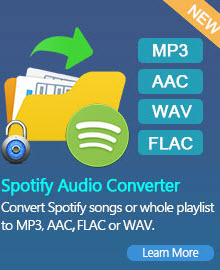 If you have a bunch of great DVD movies, DVD video, DVD files or DVD TV series that you want to convert DVD to WebM to enjoy them on website, YouTube, etc, Any DVD Converter can solve the problem with simple way. Free download DVD to WebM Converter and turn your DVDs to WebM file easily! • Clip video into many segments and merge several videos into one file; Tune video saturation, contrast, brightness; flip and rotate video into any side view as you like. • You can just use the default parameter setting to convert DVD to WebM (normal video and audio quality) or you can choose to set by yourself to customize the video and audio quality (e.g.Video Codec, Video Bitrate, Audio Codec, Audio Bitrate, Audio Channel). 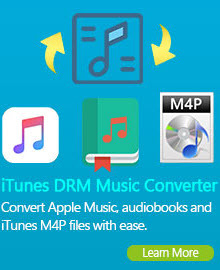 • when you convert and rip DVD to WebM, you may take images of the DVD movie and save as PNG. • Support Multilanguage interface. 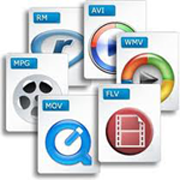 DVD to WebM Converter is available in English, German, French, Spanish, Japanese, Arabic, Italian, Chinese, etc. How to convert and rip DVD to WebM? 1. Insert your DVD movie disc to the DVD drive and then launch the program. 2. Normally, the program rips files on DVD automatically. If it doesn't, click the Open DVD button to locate and rip DVD. 3. The program checks the title with movie content automatically, so you just need to covert the checked one. Generally, the longest one is the movie content. 2. Go to menu File > Open DVD Folder, locate the backup folder (VIDEO_TS) which contains VOB files and press OK.
3. The program will add and check the title for DVD movie. Generally, the longest one is the movie content. Step 2: Choose output format from the profile drop-down list. Go to the top right corner of the main window and select "WebM Movie (*.WebM)" from the output profile as the output format. You can also set the frame size you prefer from the drop-down list of "Frame Size" option. Tips:You can also customize video and audio settings (e.g. Video Codec, Video Bitrate, Audio Codec, Audio Bitrate, Audio Channel) in DVD Converter to enhance the experience of enjoying DVD movie. In addition， before ripping DVD, unfold DVD Options in the right settings panel, set Audio Language to the one you would like the movie's sound to play in. You can also set subtitle language and angle. If you don't like the DVD to be separated as titles, click Edit >> Options >> DVD and check. Step 3: Click Convert button to start ripping and converting DVD to WebM. Once the conversion is finished, you can click "Output Folder" button to get the output WebM files. Then just enjoy it! Wanna to make a backup copy of DVD movie? Any DVD Cloner Platinum lets you decrypt DVD, copy DVD to blank DVD, backup DVD to hard drive, rip DVD to various video formats for iPod, iPhone, PSP, PS3.